What Are Most Investors Overlooking? 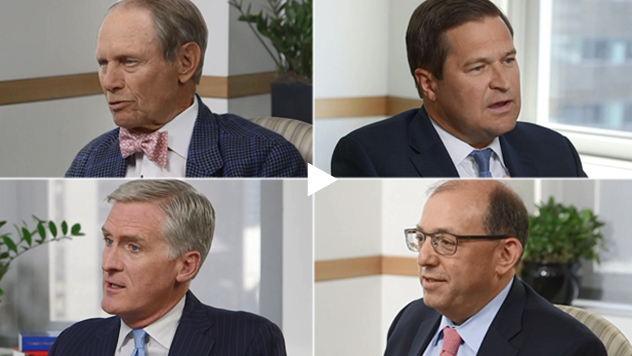 From the upcoming midterm elections to deregulation, four small-cap specialists discuss what they believe most investors are overlooking. I think investors pay way too much attention to headlines. North Korea, tariffs today, Brexit, etc., are big headlines. As we know, the markets have continued to prosper pretty well throughout these. The hardest thing for an investor is to kind of stay engaged and have a longer-term outlook. So to me, ultimately, it is about avoiding the headline obsessions. Investors by and large, don’t appreciate the vast extraordinary opportunity in the small-cap space. They tend to over associate small-cap with a problem kind of company: a biotech, a non-earner, a particular fragile company. And in fact, we know, and we obviously this is our full-time job, we know it’s big, it’s global, it’s exceptionally high quality, and there’s so many things that go on all day long that present fabulous opportunity. I don’t necessarily know they’re overlooking it, but I think it’s an issue that’s coming to the forefront more than it has in the past. We’ve been working in this environment for a long period of time where we often refer to as “there is no alternative.” A TINA environment. And I think we’re at a point in time now where the spreads between cash yields and equity yields are such that it will possibly drive investor behaviors differently. Again, the spread naturally, as it increases, will provide a headwind to equities. And this is more of a commentary on the broader market, particularly large-caps. But I think it’s an issue that will come to bear. I think many investors are focusing on some of the bigger issues of the day. But one of the things that they’re overlooking is deregulation and the effects it’s going to have on many small-cap businesses. Deregulation has been a hallmark at least for the moment of the current administration. And it’s something that will affect many businesses in a variety of different ways. We heard evidence about that in the past couple of weeks with some of the stress testing in terms of the major banks. We think that you’re going to see less regulation and will help some of the industrial and material businesses, all of which I think has longer positive trends in these businesses, that the market has not yet recognized. I think investors at the moment are not focused on the 2018 midterm elections. The noise around trade and tariffs is so loud, it’s diverting attention. I think that when the focus moves to that, all bets are off. Volatility will be back. And the closer the election looks, the more interesting the markets are going to be.